Taking a snap of ourselves can’t be that hard, right? Well, that might not always be the case. There is just so much to think about! Getting the winning pose isn’t just important to show off the #OutfitOfTheDay or announce to the world we have gone to the gym; it’s also a way to tell people all about our personality with a photo alone. Did you know that holding the camera lower or looking right into the camera often means you’re more agreeable than others? Plus, if you hide your location, it’s said you like to maintain your privacy, while pouting is supposed to mean you’re more emotional than others. Perhaps this is just one of the many reasons we upload around 1,000 selfies to Instagram every ten seconds? We need plenty of feedback to make sure we have got the winning snap. 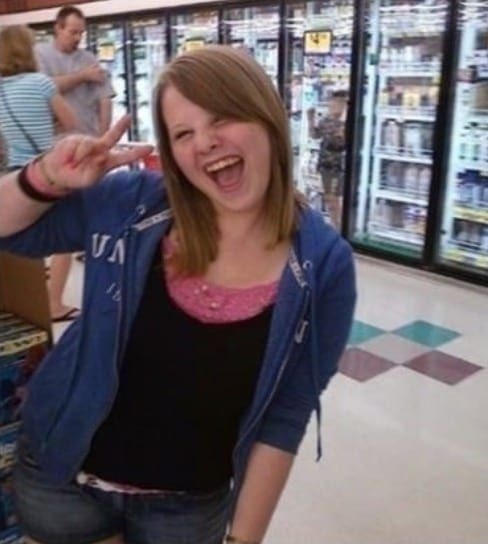 Sadly, it seems as though these people should have checked before they uploaded their pictures. 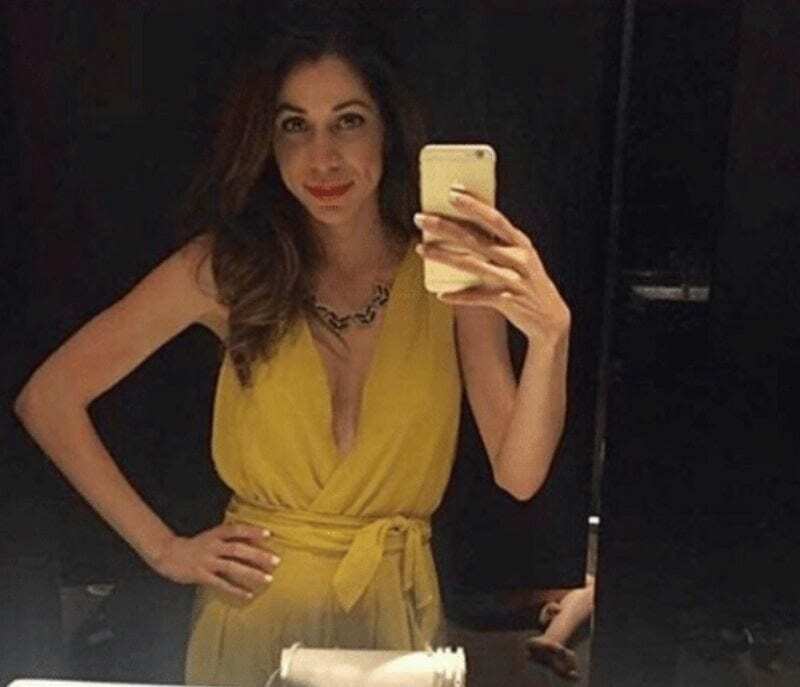 Double checking the background or making sure all those embarrassing hidden items are hidden away are just some of the things we should do to make sure our selfies are ready to rock and roll before the whole world gets a glance. 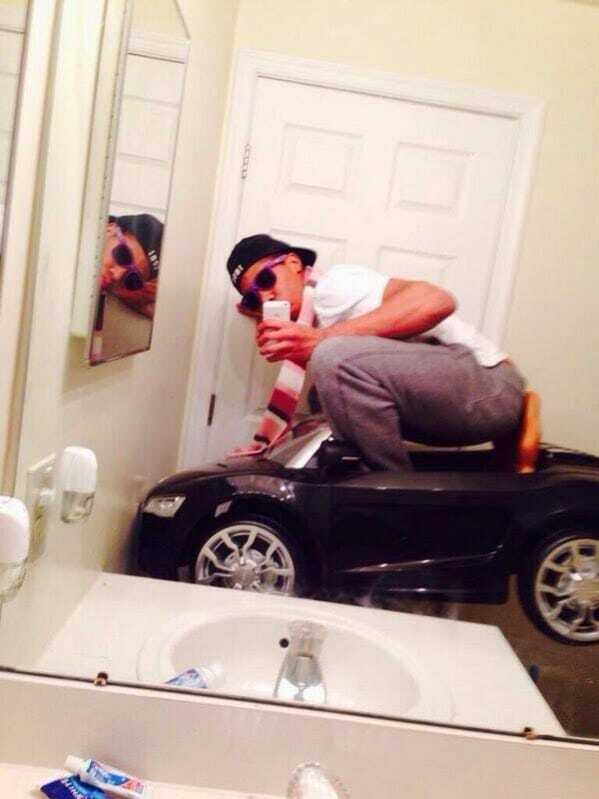 Thankfully, their slip-ups have helped create the funniest selfie mistakes ever that can no longer stay a secret. Once they are on the internet, who knows where they could end up? As the weekend rolls around it can be time to get ready for the latest party or night out with our friends, but would any event truly start until you’ve snapped at least 100 selfies to show off to your friends? We thought not. After all, it’s essential to capture the hair and outfit that took so long, right? Although this woman seems ready to paint the town red, it appears as if someone is ready to come in already. A bark and scratch weren’t enough for this four-legged friend. No, they needed a way to make sure they were never forgotten outside ever again, and we’re pretty sure they found it. This selfie might have been kept clean, but it seems as though that’s where the tidiness finishes in this photo. 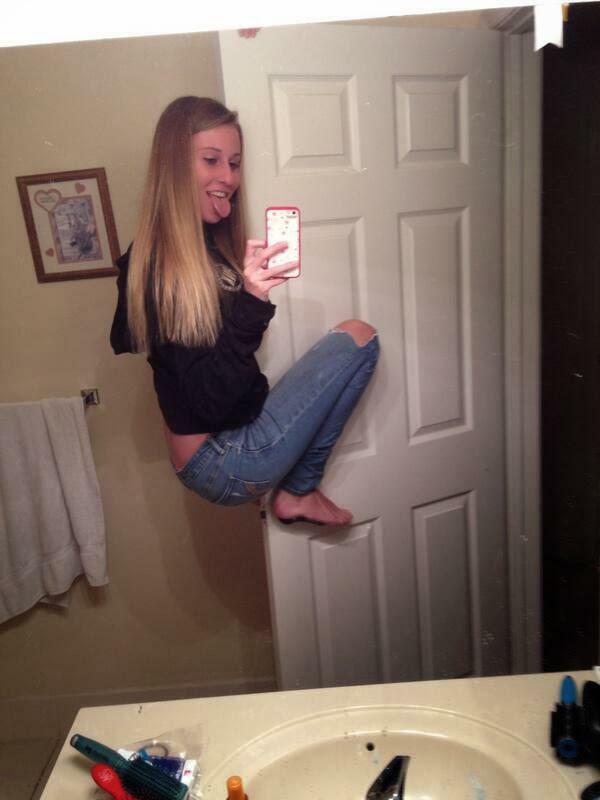 Sure, the outfit is on point, and this woman appears to have found her winning pose. 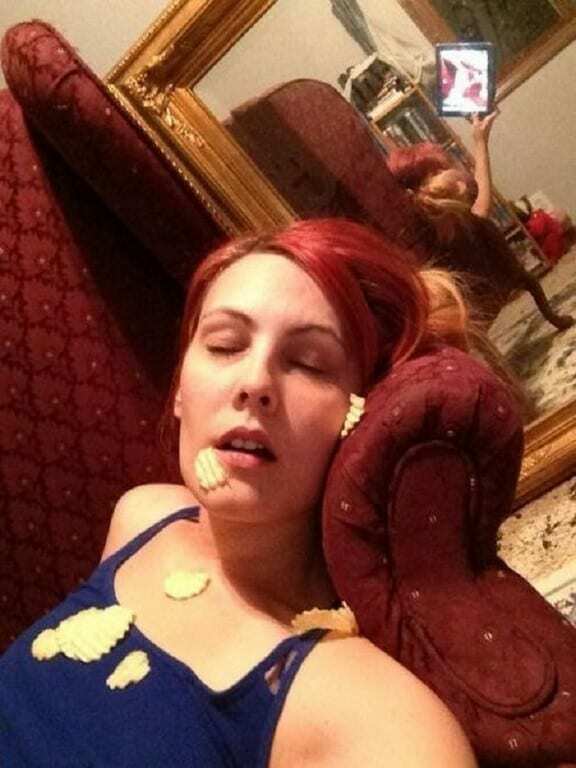 However, maybe she should have thought about the rest of the snap before she uploaded this gem to the internet? One of the golden rules of selfies is to make sure the background is looking as fresh as you. Sadly, this woman seems to have forgotten all about that. Instead of hunting for the perfect upload, we’re pretty sure she should begin the search for a trash bag and the vacuum. At least then she’ll be onto a winner. Sure, this woman has found a winning gown and probably spent hours on her hair and makeup before heading out, but forgetting to capture the night can be a huge no-no for any youngster. What might also be on the banned list is having a quick lay down in the bathroom stall in between dances. Plus, whatever happened to their shoes? There are too many questions. We just hope they felt better after a power nap. Did you really have a good day with your friend if you didn’t take a selfie? These two seem to be enjoying the last of the sunshine as they enjoy the great outdoors. However, it looks as though someone else has also decided to come along to the park. Only, they weren’t as well-prepared for the occasion. If you look closely, you might just see what resembles Lord Voldemort in the background. We never knew a trip to the park could be so creepy, but we sure have found something that will give us nightmares for days. Sometimes it can seem as though our parents have an inbuilt tracker that flashes up anytime we’re about to do something remotely against the rules. Whether it’s opening a can of drink, sneaking out to a party, or taking a daring selfie, parents have a creepy way of knowing what we’re up to at all times. This mom seemed determined her daughter wasn’t going to get away with posing for a photo like this without an addition to the background. After all, would anyone want to upload a sporadic family photo such as this? 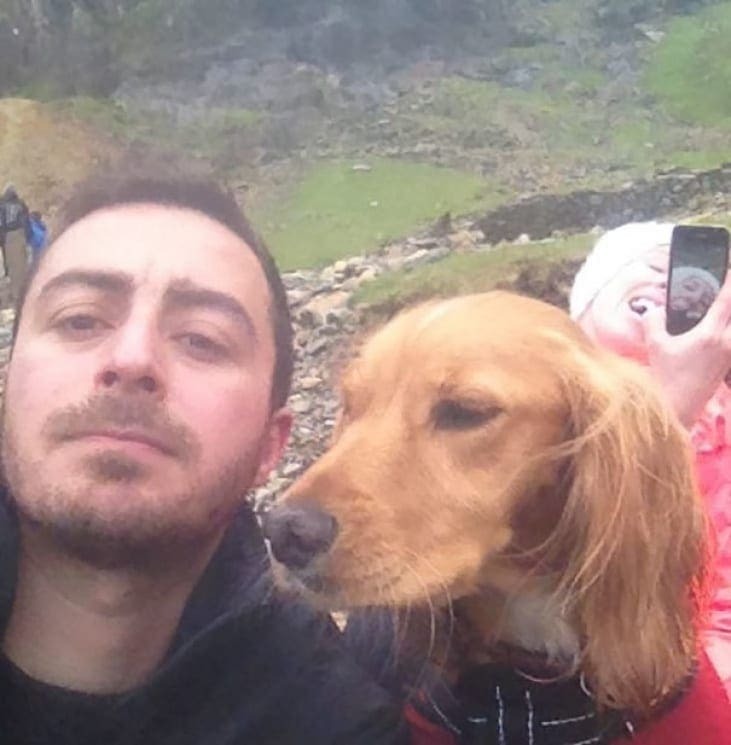 They say we shouldn’t work with animals or children, but what about taking selfies with them? Apparently, that should be on the banned list, too. 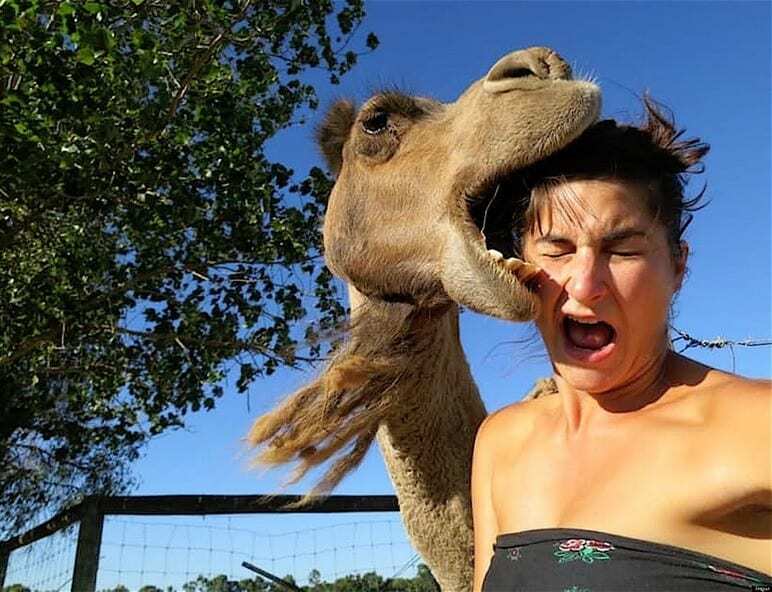 This camel wasn’t too keen on posing for a photo with their new friend and couldn’t hide their emotions any longer. Perhaps she was about to get their bad angle? Maybe she was using a filter that just made their humps look a little wonky? Whatever it was, we’re sure this reaction left quite the mark in the morning. Occasionally we have to pull out all the stops if we want a selfie that is going to outdo the competition. 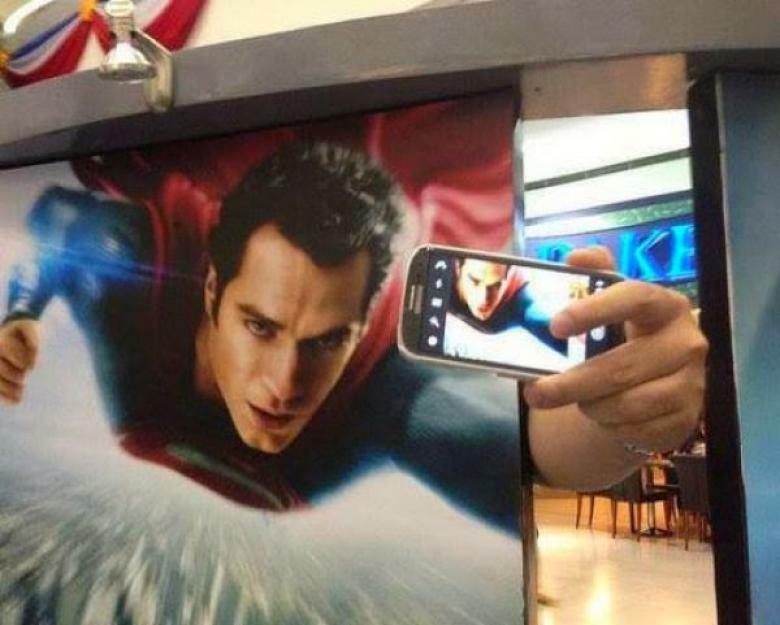 What could be better than getting a snap with Superman himself? At a quick glance, you’d be forgiven for thinking you were looking at the man of the hour as he shows off not only his flying skills but also his ability to take winning selfie, too. What we really get to see is someone’s hilarious idea of a joke thanks to handily placed movie poster. It’s time to strike a pose. No, not you pussycat! 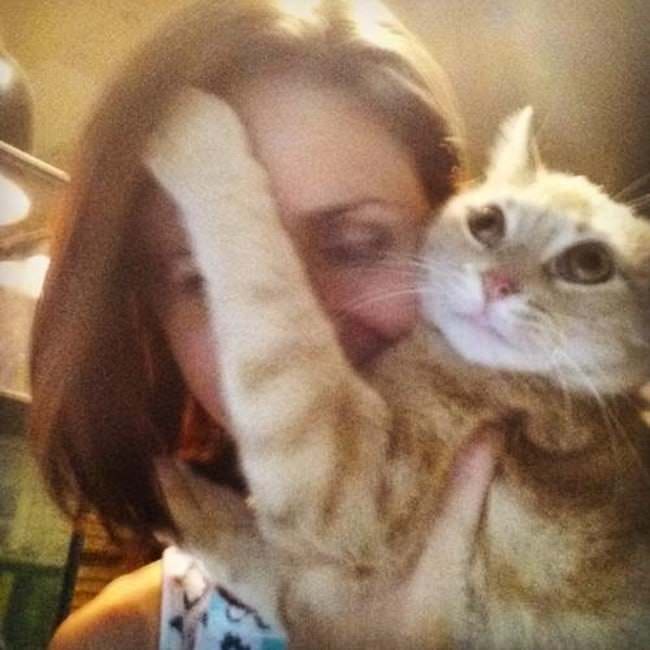 This woman merely wanted to commemorate a moment with her cat. Is that too much to ask? It seems as though the feline had other ideas and couldn’t bear to miss out on being the center of attention. There was only one thing to do: take down the competition. After all, it will be hard to look good in a photo if there are four claws sticking in your face. Car selfies are all the rage. They usually offer up some of the best lighting and can be a way to subtly show off our set of wheels to the rest of the world. However, that doesn’t mean the caption goes out the window. 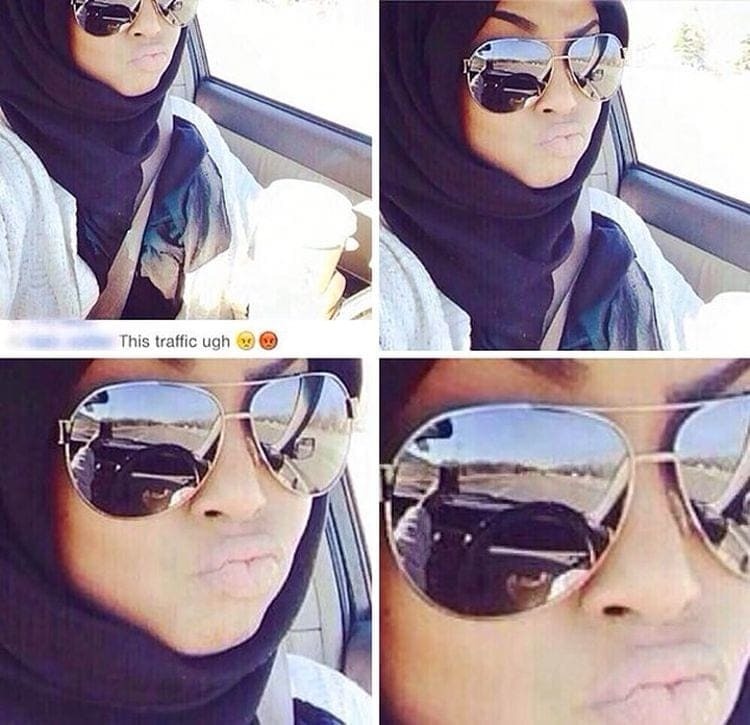 We’re not quite sure what this woman was trying to achieve with her upload, but sadly she forgot how reflective her mirror sunglasses really are. It wasn’t long before someone noticed and she was caught out. 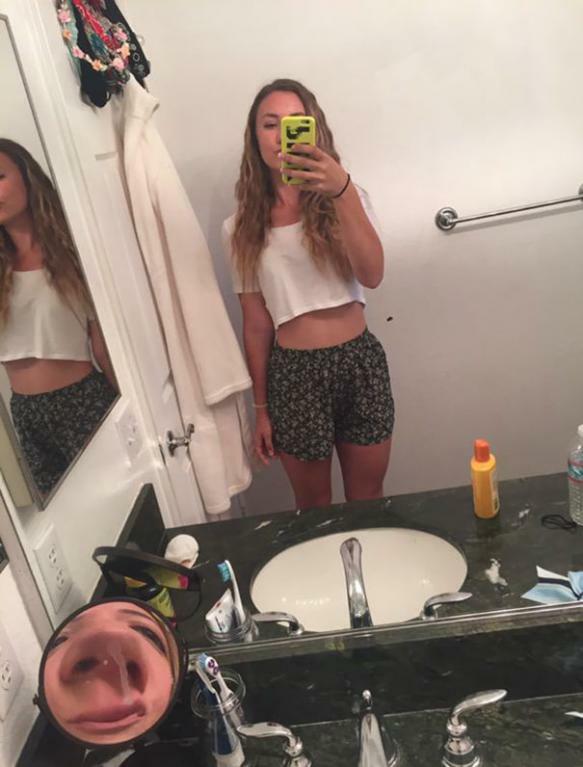 Mirror selfies are great, aren’t they? You can pull all kinds of poses and capture your whole outfit in one swift snap. Now if that’s not multitasking, then we’re not sure what is. What you might want to consider is the mirror you use for your personal photo shoot. Although this public bathroom might have the perfect backdrop to showcase your threads, it’s probably a good idea to make sure everyone wants to be in the photo first. 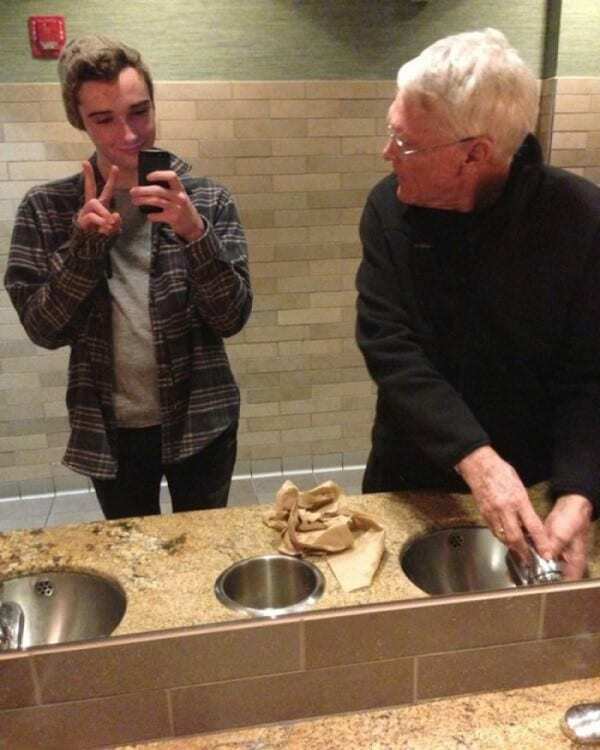 We’re not sure this man was happy to find the paps next to him at the sinks. 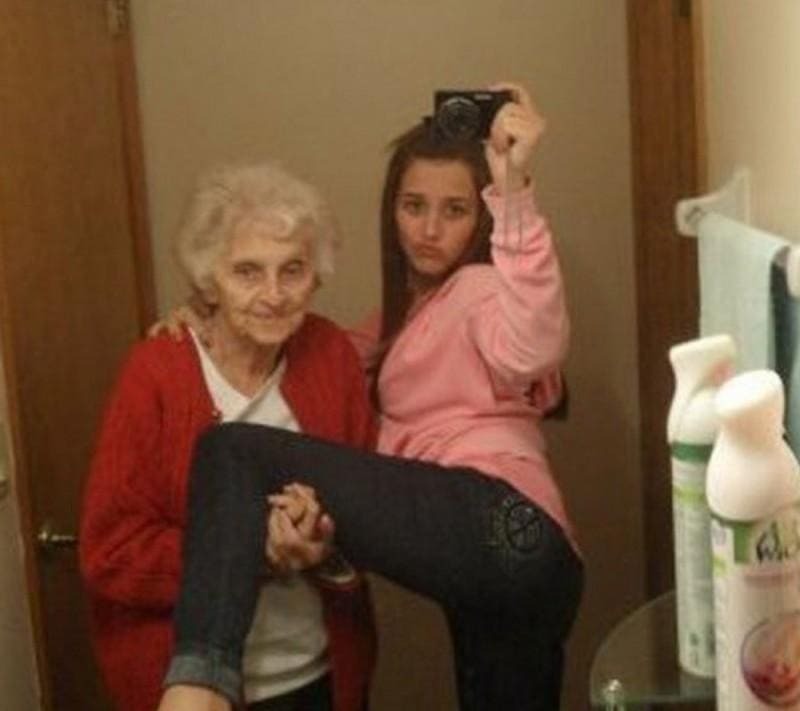 At last, we get to see how selfies can bring generations of family members together. However, we’re not entirely sure this is what we had in mind. It seems as though this youngster knew the look she was going for and thought of the perfect way to get grandma involved. Amazingly, she doesn’t seem to mind being one of the props for the shoot, but we’re not sure this will be a snap that will make it into the family photo album. Have you ever seen fans on the red carpet as they all lean over the barriers to try and get a snap with their favorite celebs? While it might be one of the things that come with being a star, we’re not sure the Royal Family are used to the same treatment. Especially judging by the man running in to get that youngster back to his place. 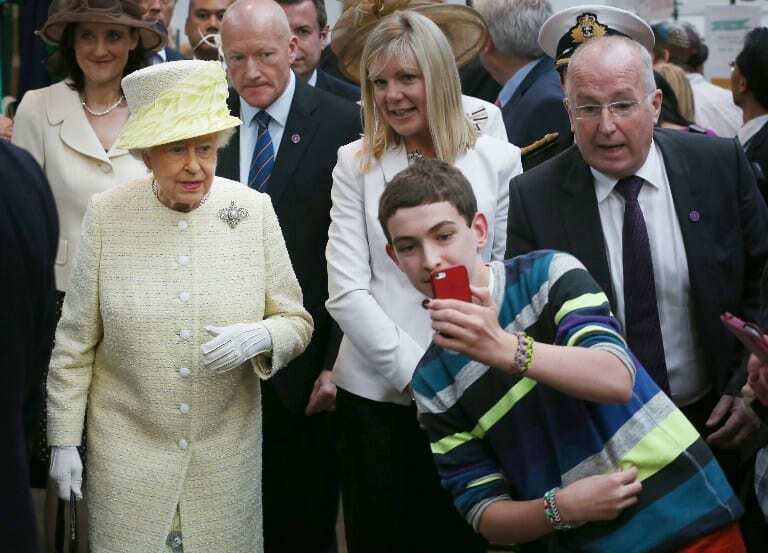 Her Royal Highness doesn’t seem too impressed as his entrance, but at least this boy will have one of the rarest selfies in the world. 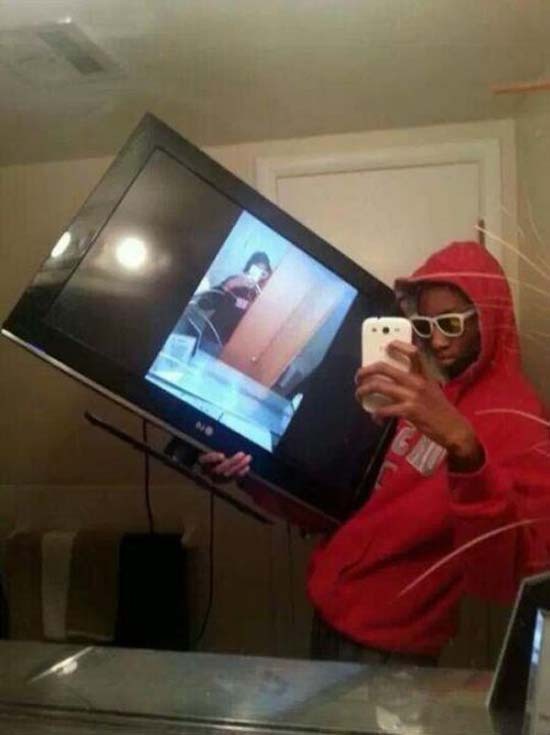 It seems as though we can get all kinds of furniture and fittings involved in our selfies, and we might have to start getting creative if we want to find a way to stand out from the crowd. This woman could have gone for a potted plant or a headband to spice things up, but she wanted to take things one step further. She needed to show off her spider skills. That or this woman really likes her new pair of jeans and had no other way of showing them to the world. This woman looks overjoyed with her ice cream treat. We don’t blame her; a whipped up special can be the perfect way to cool down after a long, hot day. However, it’s not just her that wants a piece of the action. 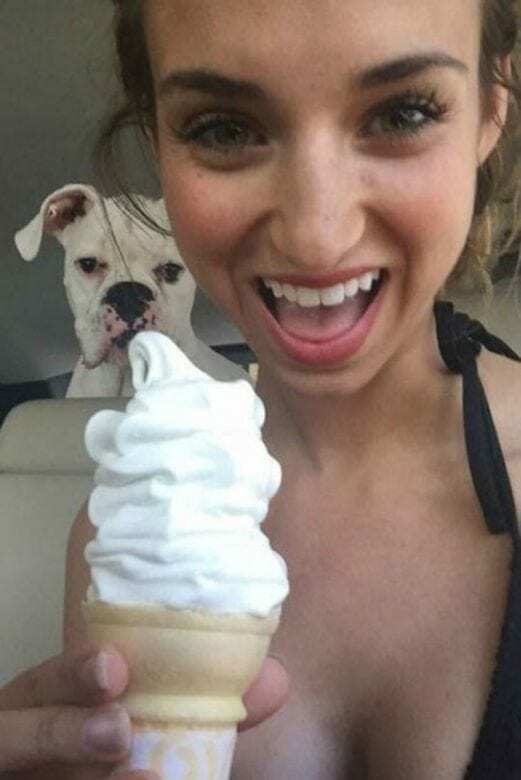 No, it looks like she’s going to have competition for her ice cream cone judging by the face in the background. It might be wise to get eating if this woman wants a taste of her purchase before it’s wolfed down before her very eyes. Outfit on point? Check. Beach waves hanging loose? Check. Anything embarrassing removed from the counter? Check. Apparently, it’s not always an unfortunate item that can cause some of the funniest selfie mistakes ever; it can also be the innocent items that hold us back. 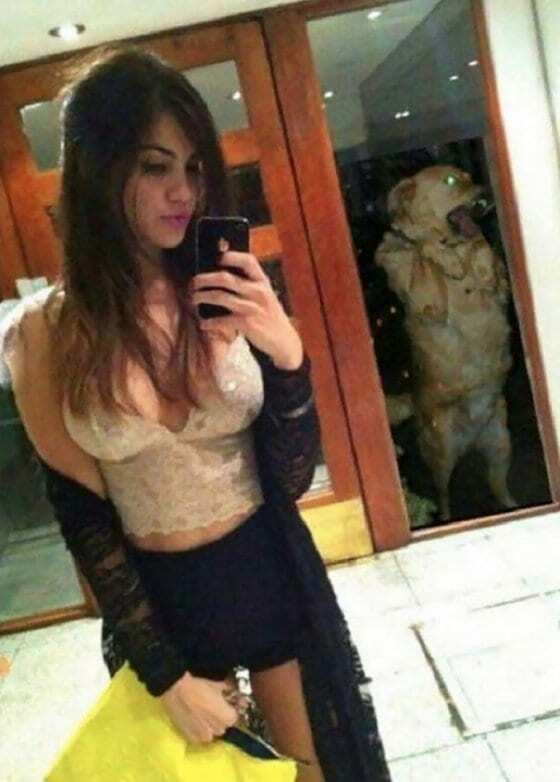 This woman was set to show off her summer outfit, and things were looking good until it was the attack of the hand mirror. If you look closely, you might be able to see all the way up to her brain! Staying at baes can mean we open up the door to a whole new level of our relationship. Now, they can see us all around the clock, including when we fall asleep on the couch with eating chips. It’s all part of falling in love, right? Well, that might be the case if it was actually bae there to take the snap. Sadly, this woman forgot that mirrors could be the undoing to any great secret. Hopefully, she had a good excuse! We’re not going to lie; there have been times that we’re so excited with our new purchase that we just can’t hold back. We need to take hundreds of photos with it, of it, and all around it. It’s finally ours, and we want the world to know! That’s great until there’s no one there to take the snap. 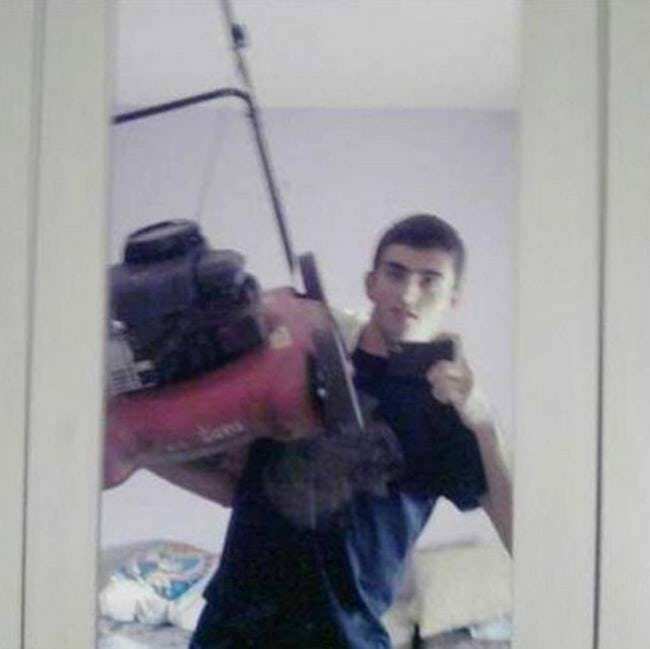 This man wasn’t going to let something as simple as being home alone stop him from posing with his new lawnmower. All he needed was a little muscle, and he could do it all himself. We admit there have been times we’ve opened our phones only to find it’s on facecam and we get the surprise of our lives. It’s never a good look. 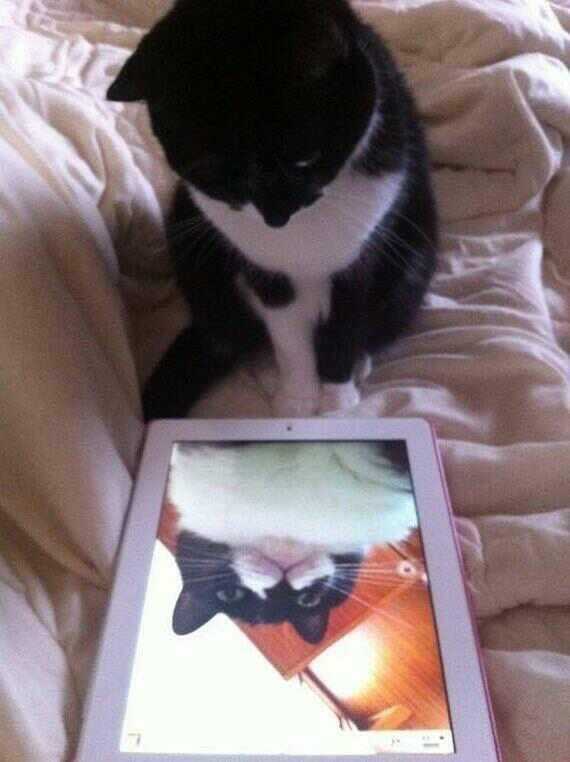 Unfortunately, this cat was about to learn the joys of the front-facing camera after playing with the family tablet. This feline looks less surprised and more confused as to how an identical black and white cat could have possibly found its way into the sofa like that. It must be magic. As we said, car selfies are a great way to get the perfect lighting and atmosphere. Unfortunately, this isn’t quite what we meant. We’re not sure who this man was trying to impress with his new wheels, but at least he no longer has to worry about paying parking tickets. After all, it seems as though he can take his ride with him no matter where he goes. We just wonder how he got the car to balance like that? 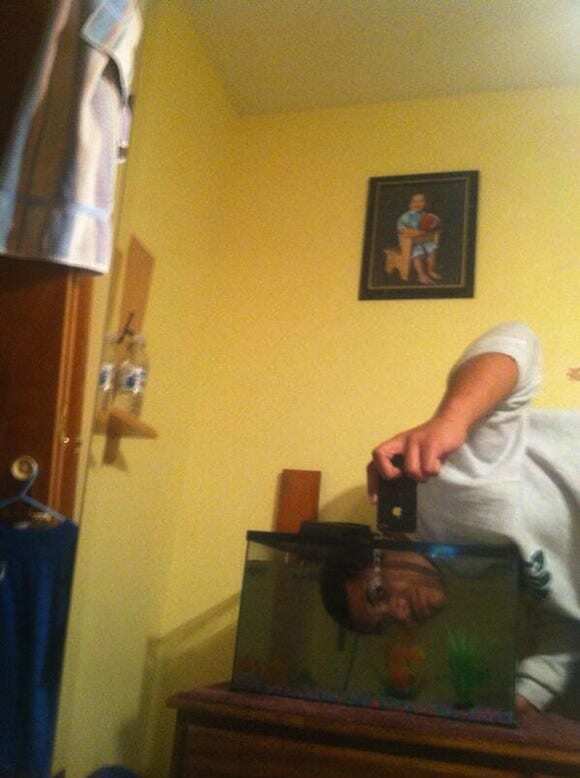 We have no idea either, and we’re not even sure where to begin with this selfie mistake. The question is: is there anything right with the photo? We’re not sure the fish would have been too happy to have a face looming in over them, but this man was determined to get the craziest selfie he could think of, and we’re pretty sure he achieved that goal. We just hope it didn’t take too many attempts to get the right photo. We can’t always blame animals for being the ones to create funny selfie mistakes. Sometimes it’s us humans that can be responsible, too. Although this pooch is looking fresh out the puppy pamper parlor, their snap has been tainted by someone trying to make their own memories. We’re sure this woman never expected for so many people to see her selfie, but sadly this dynamic duo were there to show the world. Hopefully, she didn’t mind the snap? We think we have just found our spirit animal. While everyone else is worrying about what they will wear and how they look, this woman is enjoying life to the fullest. What better way to have a good time than with a corn dog or two? 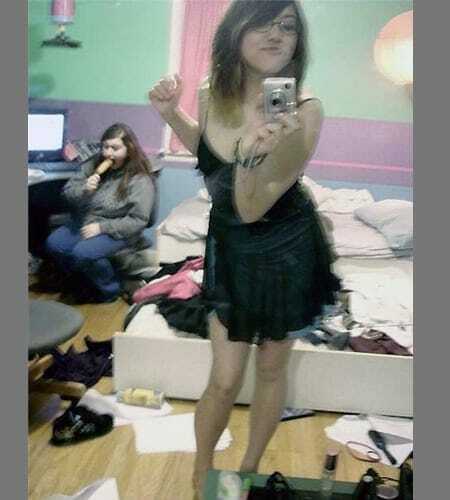 Although her friend seems as if she is getting ready for a night out on the town, it looks as though the girl in the background has her priorities sorted. Next stop? The food cart for round two. Taking the kids to the zoo can be great for many reasons. Not only is it fun for all the family, but it also gives children the chance to see all kinds of animals they never usually get the chance to meet. Plus, if you’re lucky, they might even learn a thing or two. So what happens when they start giving a real-life nature documentary right before your very eyes? It seems as though this giraffes couldn’t wait to show off their latest conga line. A pity they couldn’t wait until after the snap. 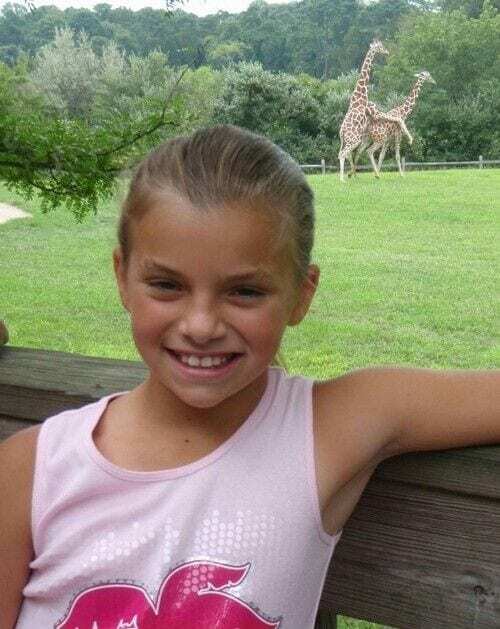 Over the years, we have seen all kinds of celebs photobomb snaps thanks to their wacky ways. It’s only when we get home and look back at the pictures we spot them lurking in the background. So what about if one of the most famous people in the world decides they want to get in on the action? 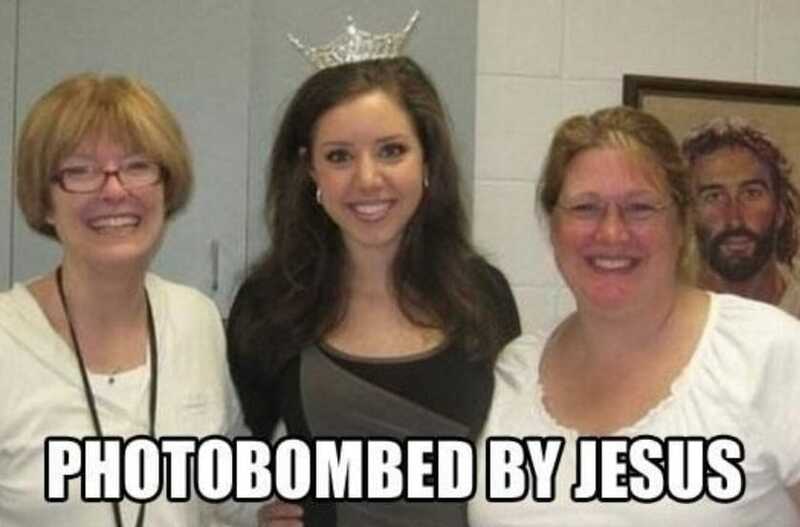 The woman in the center might be the one wearing the crown, but we’re sure it’s the Messiah in the background that has stolen the show. The grocery store might not be our first choice of locations for a photo shoot, but each to their own. While this girl is busy pulling her rockstar pose, we can’t help but look to the background. Surely we can’t be the only ones to see this? Is that someone trapped inside the freezer? It seems as though their trying to get someone’s attention, too. We just hope they were spotted before they became the latest frozen deal at the store.